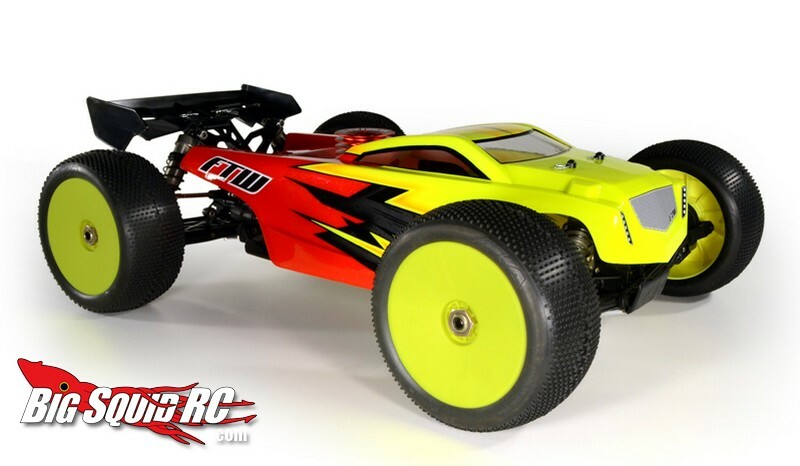 FTW Phoenix Cab Forward Body For TLR 8ight-T 2.0 « Big Squid RC – RC Car and Truck News, Reviews, Videos, and More! Today the guys over at FTW RC announced a new clear body for the TLR 8ight-T truggy called the Phoenix. If you are looking to sport that wild “Extreme Cab Forward” look on your Losi then the Phoenix will be right down your alley. The Phoenix is formed from .040″ polycarbonate and comes with window masks and over-spray protection. The part number for the FTW is #FTW00047 and it has a street price of $27. Hit THIS link for more new body news right here on BigSquidRC.